Role: To proactively work on contributions which ensure the long term sustainability and innovation trajectory of the CKAN open source project. In doing so, you are to remain responsive to the direction of the CKAN tech team and be guided by the project’s technical roadmap. With valued contributions being made on a regular basis, and due to the meritocratic nature of open source projects, the role will evolve alongside your growing capability to support the CKAN core. You will take on more leadership, more management tasks and more responsibility. Reporting: As the role is funded via a donations to Open Knowledge Ethiopia, you will report to the organisation local organizer. We are seeking candidates who are familiar with the principles and values behind open source projects, particularly the values of participation, collaboration and openness. Demonstrated experience as a contributor to an open source project and involvement within open communities will be highly valued. a. Ability to write clear code, experience with side-tools, like flake8, rope. c. At least base knowledge of HTML/CSS. a. Understanding not only base commands, like `select` but also different kinds of joins, aggregation. b. Knowledge of few other commands, aside from commit and merge. If you know what `git bisect` is, then that is great. 6. Nice to have: Knowledge of NoSQL databases, full-text search and cache engines, maybe experience with bigData. Application period: March 28 to April 12, 2019. Application details: Please send your resume and application letter to solomon3m@gmail.com. Application period: September 10 to September 25, 2018. 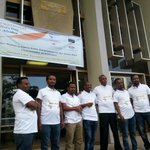 A notable event was held in celebration of Open Data Day 2018 in Addis Ababa, Ethiopia, Open Knowledge Ethiopia with the support of Addis Ababa University, Open Knowledge International and SPARC hosted OpenCon 2018 Addis Ababa (a satellite event of the global annual OpenCon meeting). The event brought together 25 participants including students, researchers, academics and Librarians. The Open Data Day event in Ethiopia was officially opened by Mr. Mesfin Gezahegn, University Librarian of Addis Ababa University (AAU). He stressed that AAU strongly supports open data initiatives and hosted various workshops and trainings in open data, open access and open science. He also promised that the University will continue supporting open data initiatives in the future. Following the opening, Mr. Solomon Mekonnen of AAU introduced participants to open science concepts with sharing international initiatives related to open science that can also be applied in Ethiopia. Following the presentations, a panel discussion was conducted mainly focusing on open science and open research data. Major issues raised included licensing options when sharing research data, policy for open research data, creating awareness on open research data and open science and the role of open data communities in pushing forward the agenda of open science. In the afternoon session, several open science tools were demonstrated to the participants, including Zenodo, re3data, ORCID and the Open Science Framework (OSF). There was also a session for lighting talks which attracted two graduate students to talk about their research projects and get feedback from the participants. Postgraduate students Yemaneberhan Lemma and Olyad Fekede talked about their project on Linked data and Sentiment Analysis respectively connecting with open data. Mr. Michael Melese who is a PhD student at AAU also shared his experience on open science tools to the participants. Finally the event was concluded by a discussion on future activities. It was agreed that the event successfully created awareness on open science and open research data, but it was stressed that there is a need for longer training on these topics to PhD students and early career researchers. It was also suggested that there should be monthly open knowledge Ethiopia community meetups to collaborate on open science issues that are raised in the workshop. The only challenge faced during the workshop, was power failure in the computer laboratory for some time in the middle of running the practical sessions but the participants use their personal laptop and smartphones to continue practicing on open science tools. 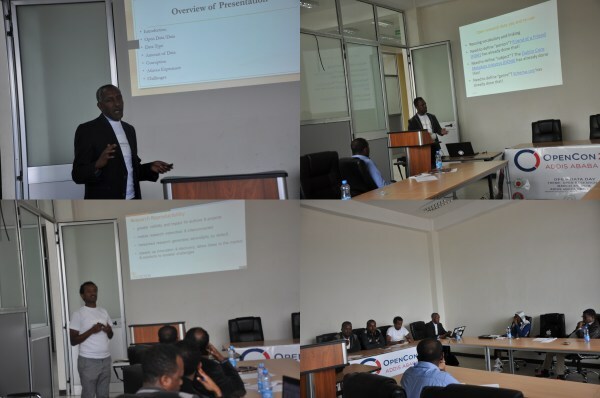 An open data interest group representing 25 participants from universities, NGOs, CSOs and government ministries attended an open data event on 5th March, 2016, with theme “Raising Open Data awareness in the grass root community of Ethiopia”. The event was organized by Code4Ethiopia and Open Knowledge Ethiopia, with the support of Open Knowledge International and Addis Ababa University, in connection with Open Data Day which is a global celebration of openness. The event was opened by Mr. Mesfin Gezehagn, a University Librarian at the Addis Ababa University (AAU). Mr. Mesfin briefed the participants that Addis Ababa University has been providing training on open research data and open science to postgraduate students and academicians to see more researchers practicing open data sharing (making data free to use, reuse, and redistribute) and open science (making scientific research, data and other results and work flows available to all). He also stated that the University collaborates with open data communities like Open Knowledge Ethiopia and Code4Ethiopia. Mr. Mesfin also informed the participants that AAU has started drafting a policy to ensure mandatory submission of research data for researches that are sponsored by the University to open the data to the public. 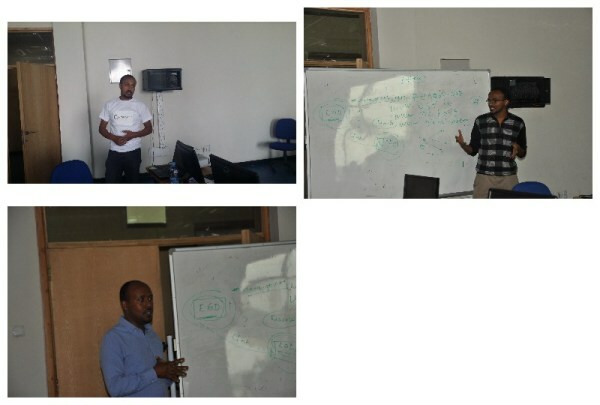 Following the opening, three of the Cofounders of Code4Ethiopia (Solomon Mekonnen, Melkamu Beyene and Teshome Alemu), and a Lecturer at the Department of Computer Science of AAU (Desalegn Mequanint) presented discussion areas for participants. 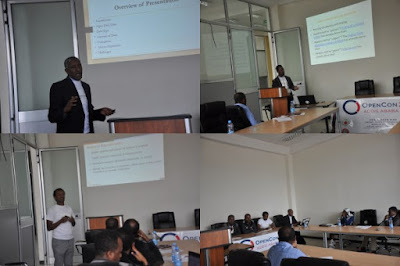 The presentations were focused on Code4Ethiopia and Open Knowledge Ethiopia Programmes , raising Open Data awareness to the grass root Community of Ethiopia , open data experience in African countries, and, social, cultural & economic factors affecting open data implementation in the Ethiopia. Following, the workshop was opened for discussion by Daniel Beyene, co-founder of Code4Ethiopia. The participants recommend that advocacy should be done from top to down starting from the policy makers to grass root community of Ethiopia and they also proposed that Code4Ethiopia and Open Knowledge Ethiopia in collaboration international partners should organize a national sensitization Open Data Hackathon to reach various stakeholders. The workshop also identified challenges in Ethiopia for open data implementation including lack of awareness, absence of policy level commitment from governments and lack of appropriate data science skills & data literacy. The participants also selected data sets that need priority for the country’s development and that interest the general public which includes budget data, expenditure (accounts) data, census, trade information, election data, health and educational data. The workshop was concluded by thanking our partners Open Knowledge International and Addis Ababa University for their contribution to the success of the event. All of the participants have also been invited to join Code4Ethiopia and the Open Knowledge community. 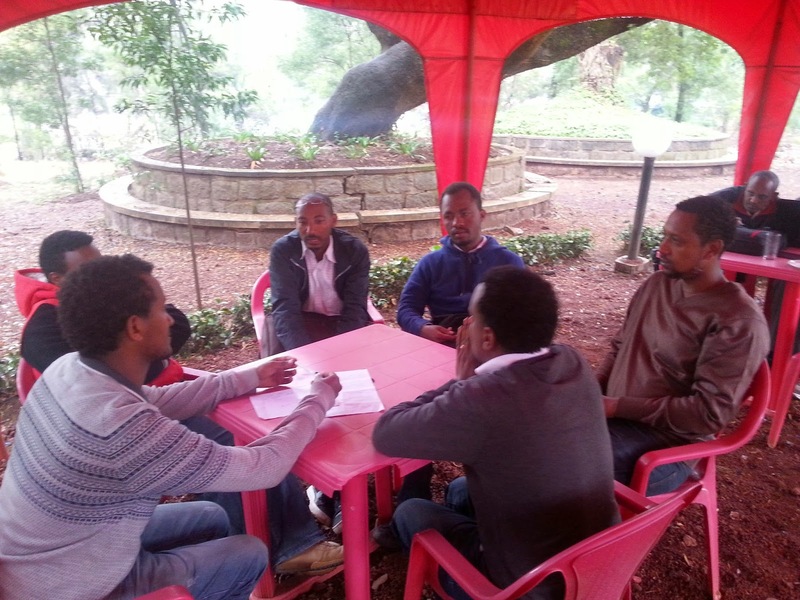 Most of the participants have agreed to join these two communities to build open data ecosystem in Ethiopia. Addis Ababa University Libraries in collaboration with Electronic Information for Libraries (EIFL) have conducted a full day workshop on “Open research data” on 21, July 2015. The workshop gathered participants Researchers, Librarians, ICT professionals from Addis Ababa University and Consortium of Ethiopian Academic and research libraries. Zanele Mathe of the Cape Peninsula University of Technology Library, and Matthew Buys, the ORCID Regional Director: Africa & Middle East, both from South Africa, were among the invited speakers. There were also speakers from AAU who are all members of Open Knowledge Ethiopia. In the workshop, a proposal to implement an open research data project for the AAU was presented. Following the presentation, the participants discussed the importance of making research data openly available, open research data policies, and best practices in data sharing. Most of the participants agreed that research data should be shared with the exception of personal, confidential and sensitive data. It was also agreed that a new service on research data management (RDM) should be started at AAU. At the end of the workshop, it was also decided that a working group shall be formed consisting of representatives from Research office, Library, ICT office, researchers and research institutes to work on strategy and policy for RDM service at AAU. 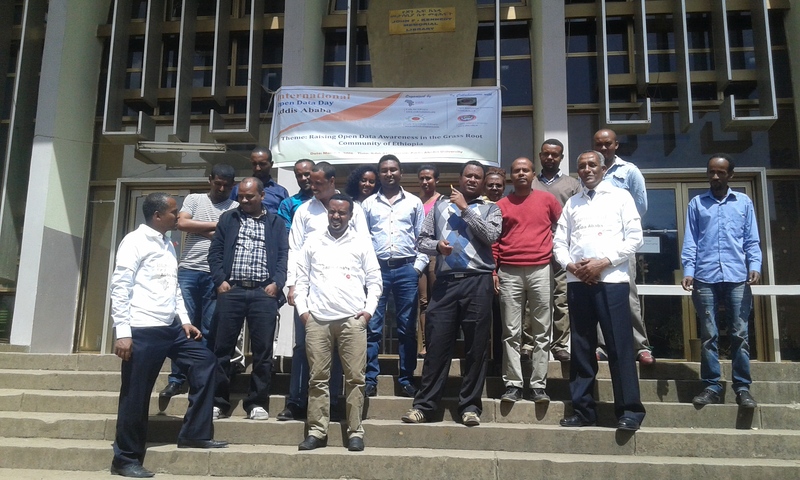 Open Knowledge Ethiopia members supported AAU on organizing the workshop, creating awareness on the importance of open data and drafting the proposal to implement open data project. Open Knowledge Ethiopia community was founded by volunteer individuals from different Universities and Research Institutes to advocate for Open Knowledge in Ethiopia. We have Librarians, Lecturers, ICT experts and data professionals in the community. The community conducted its first meetup on 10, May 2015 and the agenda was to get to know each other and to decide focus areas for the community. After deliberating on different areas of Open Knowledge, the members have decided to focus on Open Science and Open Data areas as some of the community members have experience working with these domains. The community has also planned activities that the community will engage for the next six months. We have identified list of activities to engage for the Open Science. Since most of the communities are lecturers in the Universities, the members agreed to make a presentation on Open Science to their students and colleague scientist so as to create awareness on open Science including opening research publications , research data, figures, models, algorithms, software, tools, notebooks, laboratory designs and so on. Member from the library have agreed to include open science awareness as parts of their information literacy program. The Librarians have also promised to strengthen their open access programme in the areas of Open Access journals and repositories. 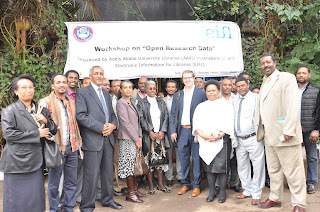 Moreover, Colleagues from the Addis Ababa University Libraries has informed the community that they will organize an international workshop on Open Research Data in collaboration with Electronic Information for Libraries (EIFL) on which international speakers will make a presentation on their practical implementation of open research data. 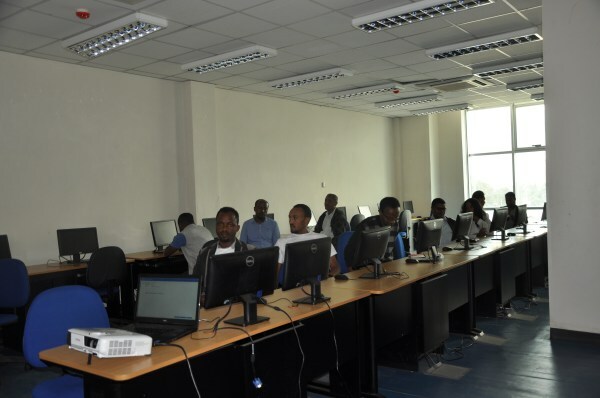 It is expected that following the workshop, Addis Ababa University and other Universities as well as research institutes will start implementing Open research data. With regard to Open Data, the community appreciate that all the Co-founders of an organization called code4Ethiopia which advocates for Open Data are members of the group. So, the community decided to work in collaboration with Code4Ethiopia in relation with open data initiative. Colleagues from code4Ethiopia have briefed the members that they have already planned to visualize Ethiopian election data which will be conducted in May 25 so as to promote the values of data to the citizens as well as to the Government and non Governmental organizations. The organization have also planned to build a portal for Open contracting for increased disclosure and participation in public contracting including tendering, performance and completion so as to minimize the millions of dollars that the Ethiopian Government and other organizations incur in advertizing tenders and processing . All members have also been invited to contribute to Open Data activities of the organization. The community has also discussed on potential stakeholders to work with and the group has decided to partner with Consortium of Ethiopian Academic and Research Libraries, Addis Ababa University (AAU) Libraries, Code4Ethiopia, School of Information Science of AAU and International organizations like African Union, UN organs which are based in Addis Ababa. We are a community working on Open Knowledge in Ethiopia.